If you don’t believe in psychic power and the power of the mind and will, then you’ve never witnessed a master of Qigong. The masters can do amazing feats. Many scientists have recorded then and attempt to explain how they occur. Masters of the art of Qigong harness their energy and make it stronger. Some believe that it encourages neural pathways to develop between the right and left side of the brain. Scientists already know that one side controls the logical, the planning, the thinking side and the other controls the creative. It makes sense that creating the bridge would allow an increase in their energy force. In the case of Qigong, practice does make perfect. It increases as the student learns to focus intently, build concentration and will. It uses body movements and meditation to do this. 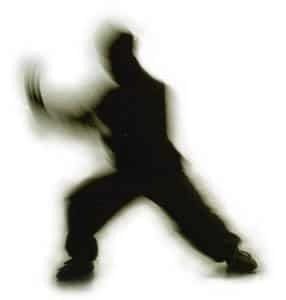 Depending on the area the master chooses to develop his skill, he may develop the ability to move objects, start fires, heal at close proximity or at a distance or develop other psychic powers. Many of these feats are recorded both in writing and on video. The practitioners didn’t demonstrate the abilities before they started their training. The training brought their abilities to the foreground and allowed them to use them. It allowed them to tap into what they already possessed. Studies on meditation show a change in brain patterns. As the person practicing meditation progresses and becomes more accomplished eventually all the brain pattern is the alpha wave. The alpha wave is the one that occurs when people learn the best and perform psychic acts. Studies into quantum physics confirm the potential for psychic phenomena. The smallest particles are no longer the atom. They are smaller than the electron. These particles are moved throughout the atom with energy. They make a quantum leap from one shell to another and change the very structure of the matter where they exist. Consider someone that has the ability to focus energy and the desire to change a substance. Let us take a look at the Qigong master that heals. He focuses on the virus or diseased cells and uses his energy to change the matter into healthy cells. It is logical and feasible that this feat is possible. In many of the Eastern practices like Qigong, a form of Tai Chi, the self needs to be quieted. Pride has no place in Qigong. The reason is twofold. First, it elevates the role of the practitioner to creator. He is not, he only directs the energy already in place and provided to him. The second is that it changes the focus of the practitioner from the outcome to himself. This blocks the energy. This takes a great deal of training and self will to do. It is normal for people to crave the attention when they accomplish a major feat. Anyone can learn these abilities. It takes dedication to advance to the great levels that the masters posses. Some that study the art of Qigong may start into the study to make themselves healthier or even for the hope of psychic ability and perhaps a quick trip to Las Vegas, but find that the more they develop, the less they choose to use the power for self advancement and the more they choose to improve humanity.